I came across this dog yesterday on Chapel Street in Melbourne. I'm not sure who owned this dog but he was happily sun baking on the roof of the car. Hilarious! 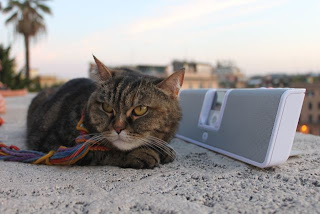 Recently in Rome, I was lucky enough to meet Braggy, an extraordinary Roman feline. 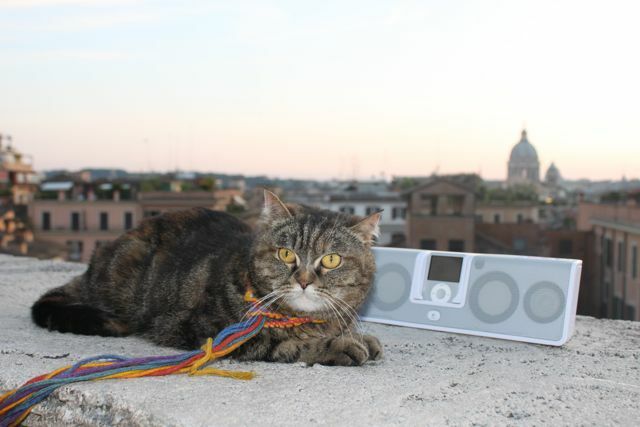 Braggy has been visiting the Spanish Steps just above the Piazza di Spagna since she was a kitten. Every evening, while listening to their favourite tunes, Braggy and her loving owner Francesco enjoy the sunset. Braggy sat peacefully and Michael Buble played as we all admired the view across the Roman rooftops. Oh what a life! PS. 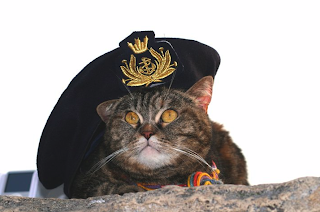 The photo of Braggy above in her hat is compliments of Francesco.